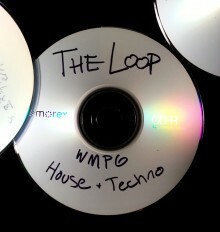 The Loop is southern Maine’s source for house and techno! This show is bringing the sounds of the sounds of dance floors and lesser known electronic artists to Portland’s airwaves. Focusing on various sub-genres, the sounds of particular times and places, label showcases, etc. Bring your friends and dance – from my decks to your ears with love! Wild Blueberry Jamz with Louis and Zoe, great jam bands and more. This show is an experience man! Given that obsidian isn’t a solid but rather a very viscous fluid then an obsidian vortex is technically feasible. But wouldn’t the high viscosity dissipate the fluid helicity long before it formed even even the faintest trace of a complete cycle typically associated with a vortex? Perhaps you’re envisioning a highly magnetized form of obsidian, where the A.B term dominates the v . curl(v) term. But less seriously, where do you dig up all this great music? thanks for reminding me – i keep dreaming these lofty conceptual ways to format the website then never get it comitted to code… i’ve put up an “Under Construction” notice and I’m trying to figure out what’s next for the site!! Nate you’re doing amazing bro. Loving the music, and its awesome that there’s always a time when it’s on and not just sporatic subbing.